On night 2 in Borgarnes we opted for La Colina Pizzeria. It was highly recommended (as another one of the few restaurants in the city). It’s a pizzeria and they pretty much stick to that. They had a large selection of pizzas and we opted for the De Campo – Sósa, ostur, parmaskinsa, klettasalat, parmesan ostur, oregano or Pizza sauce, cheese, prosciutto, rucola (arugula), parmagiano reggiano, oregano – 2,700 kr. – translation $30 for a thin crust, not huge pizza. Two of us were splitting this, a lot of it because of the price. I requested half of it without the cheese, which took the waitress a couple seconds to understand but it was delivered. The pizza had a super thin, crisp crust, which was great. They were definitely very light on the pizza sauce (because of lack of veggies in Iceland). Good prosciutto and could have had more arugula, but by now had figured out the lack of veggies, as previously mentioned. But, was very pleased with everything. Pizza in Iceland, bring it on! That was before the rest of the fun for the evening – an 8:30pm-ish tee time in Iceland in broad daylight. Also, had I mentioned it was windy in Iceland? Notice the flag in the 3rd picture down — horizontal. North Bethesda/Rockville (whatever the Postal Service decides to truly name it) is growing. 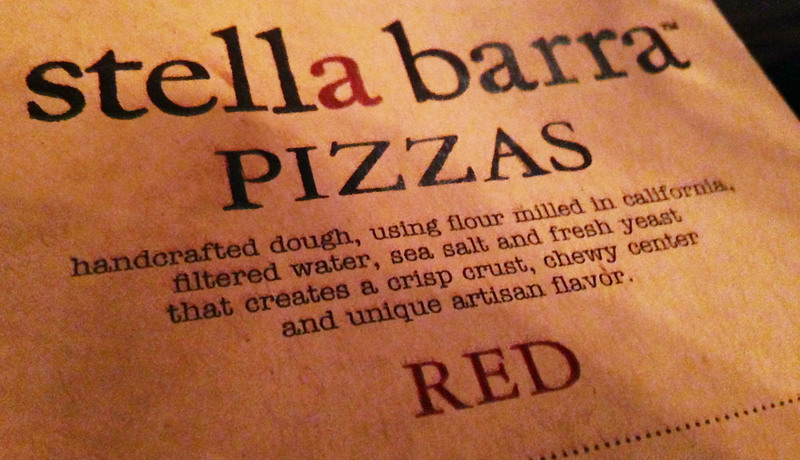 In Pike & Rose there are several new restaurants and I checked out Stella Barra last week. It’s a pizzeria with several other options on the menu. My friend and I decided to split a pizza, but after being told it takes at least 20 minutes for pizza to be ready, we opted for an appetizer, as well. For the first course, we decided on the Cauliflower Hummus. It was delicious, and loved that it came with both pita and veggies. 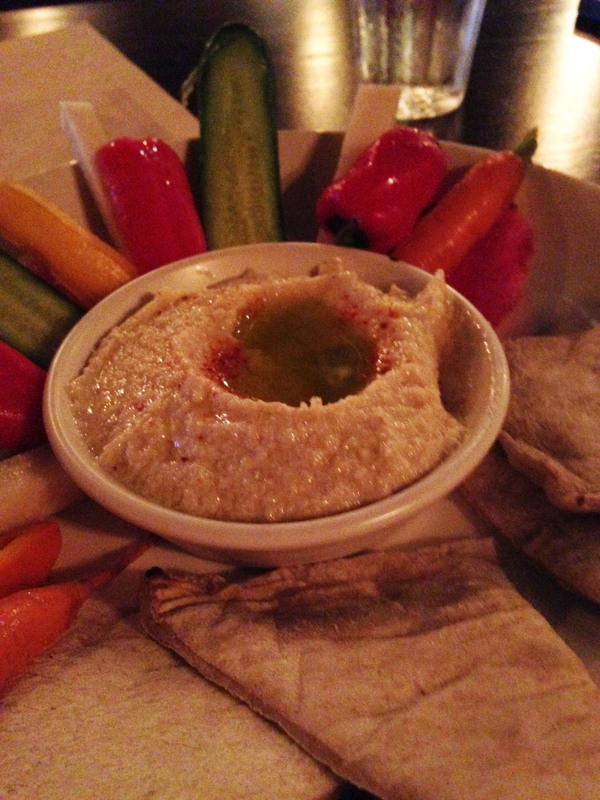 But, I will say, $14…for hummus…really? I would rather make it at home or go to the store and buy something similar. They know people will try a place and order whatever in this area and just want to be out (and I am guilty of it this time). Will be interesting to see how long it lasts. For the pizza, we opted for their special of the night, with beets and goat cheese as the prime toppings, with the Grana nixed. Interesting how they can make a whole pizza for $3 more than hummus. I sweet talked the waiter to into giving us arugula since I can’t do the ‘regular’ cheese. We got it. It was delicious! Perfectly cooked and amazing flavors all around. All the food was paired with beer and red wine, too. Totally worth checking this place out, despite the price, because all the restaurants in the area are about the same. What (wine) do you have on tap? 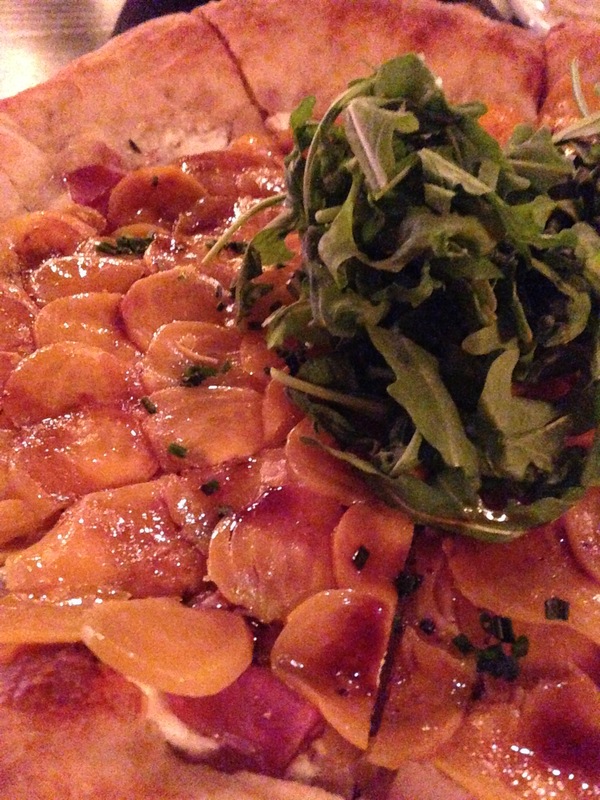 There is a great pizza place in DC that has expanded and now has several locations — Matchbox. I’ve been to the one in Merrifield/Mosaic District recently. Before enjoying their delicious pizza, I had to try their wine on tap. It’s not available at a lot of restaurant so I couldn’t turn it down. I scanned the menu and it was a tough decision. Hot as heck outside, freezing cold AC inside. I opted for the Gotham Project Zin. Nice nose all around. Fruity, very fun for a wine on tap. My friend arrived later and we were ordering some nice pizza and we opted for a white to accompany a prosciutto and fig pizza. We opted for a white on tap. We went with the Tangent Sauvignon Blanc. Very fruity and fresh, perfect for the meal. Such a fun new way to enjoy wine. 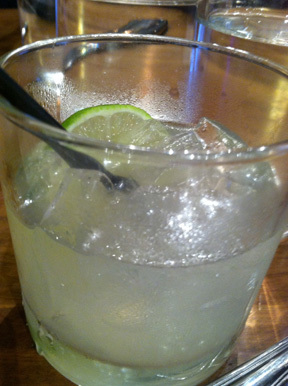 Can’t say that it was than much different than a normal glass, but simple changes and simple pleasures! When I was in Oregon it meant I had to eat out. Darn! My friends and I explored several places, I only remembered to get pictures at a few. Day 1: Dinner at McMenamins – Zeus Cafe. Quite the variety. One person has chickpea fries, one went with mussels for appetizers. For dinner, I had a great thin crust pizza with grilled chicken, arugula, tomatoes and something else…I can’t remember what because it was so good! Day 2: Lunch at Yara Lebanese Cuisine. Any place that makes Baba Ghanouj without dairy to put a ‘lactard’ on cloud nine is unreal (at least in my book). So, we had a mixed plate/yara platter appetizer then I had a house salad, and friends had kababs. Dinner at Pok Pok. Yes, I had to use the bathroom and what did I find when I was in there? 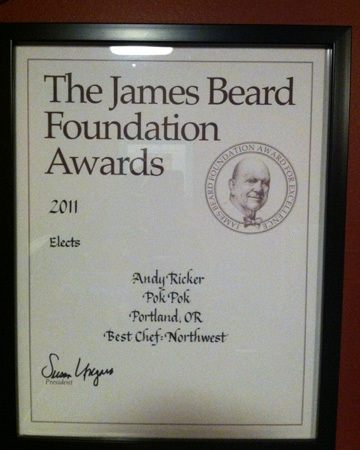 Oh, that they were elected for The James Beard Foundation Awards. This has happened for many, many years. Anyway, other cool stuff on this place. You go put you name in line/on the list. They give you your buzzer and mention there is a bar across the street where you can wait. They are connected to these guys so you can tell the other bar what your buzzer number is and they’ll take care of it. They let you know when your table is ready. Nicely connected! When we got our table, jumping ahead a bit, great food! I tried the Yam Tuna — thai style tuna salad with ginger, garlic, thai chilies, green onions, lemongrass, tomatoes and Oregon (oh, yes, local!) Albacore in spicy lime and fish sauce dressing. Some of it had some kick! I can see why this place is well known and recognized. Day 3: Lunch in wine country!!!!!!!!!! Received several recommendations to try Red Hills Market. People told me it was sort of like a Dean & Deluca on a nice local level. You walk up to the counter, order and then they bring it to your table. I enjoyed a nice salami and arugula sandwich and a delicious bean soup. It was a sort of cloudy day so fit the weather perfectly. Dinner was based on a recommendation from one of the wineries. You can never go wrong with Mexican! 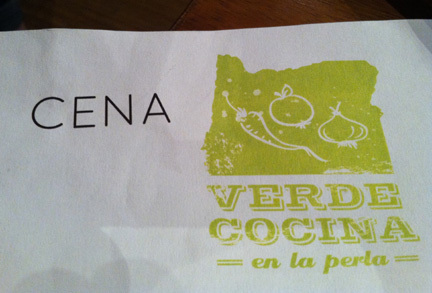 So, my friend and I checked out Verde Cocina. Fresh, delicious, perfect! 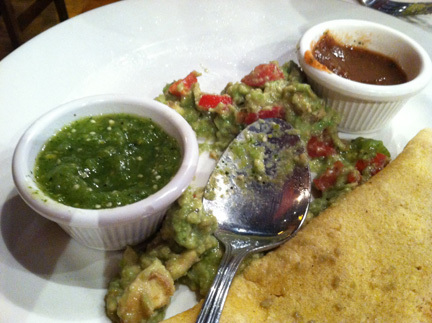 For me, the three staples at a mexican restaurant are a margarita, salsa and guacamole. Check! 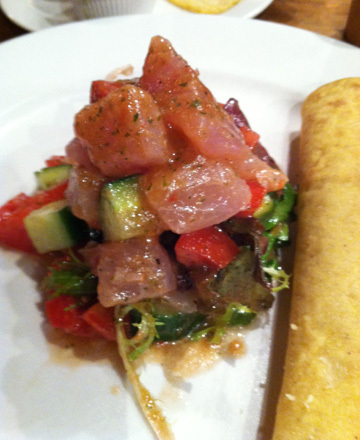 For dinner, they had ceviche…SOLD! I love the stuff. Day 4: Dinner at Petisco. Little, local restaurant in the neighborhood where I was staying. I was so thrilled because I was able to have French Onion soup for the first time in ages because they use olive oil (vs butter) in the base and the cheese on top…manchego. What more could one ask? Great way to end my trip in Oregon! The pesto-like dip was tested the other night with no complaints! Then, the next day came about for taking a friend around DC. Between museums, one must eat! So, after going to pizzeria #1 and having a long wait, we opted for pizzeria #2…longer wait. What now? 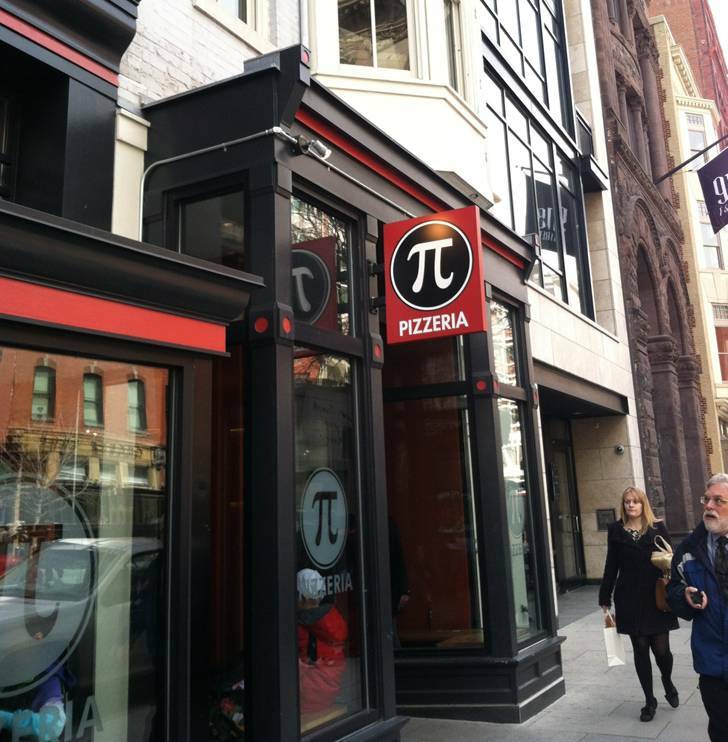 We stumbled upon another restaurant/pizzeria in the Gallery Place/Chinatown area that was amazing…District of Pi. The restaurant is based in St. Louis and this location has been in DC for about 1.5 years. Table-wise, no wait at 12:15pm on a Thursday (though we opted for the bar). 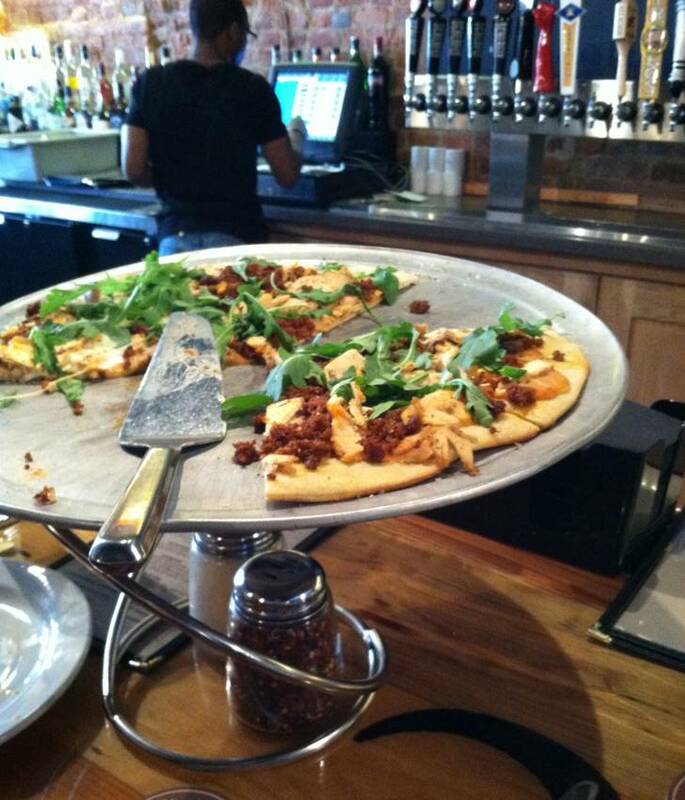 Great beer-on-tap selection and many pizza options, both thin crust and deep dish. We opted for one of the thin crust specials of white bean, chicken, chorizo and arugula, requesting half with/half without cheese because of my lactose intolerance. 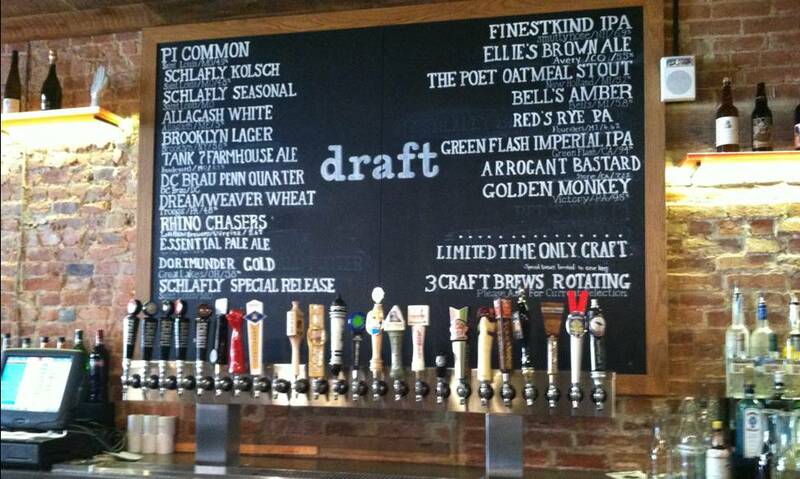 Now, the order was place AFTER great conversation about, and tasting of, the beer on tap. They have amazing brews available and the bartender gave me samples of nearly half a dozen before I opted for a wonderful Bell’s Amber. When the pizza arrived, it was amazing — thin, hot, perfectly ‘halved’ cheese-wise and delicious. And, nice beer pairing, too. If you’re in the DC area, I would highly recommend checking this place out. It’s just about a block from the normal ‘turf’ of Gallery Place/Chinatown and amazing.